A big Geodom constructed as a roof for a football field. The design has been made similar to the shape of a soccer ball. 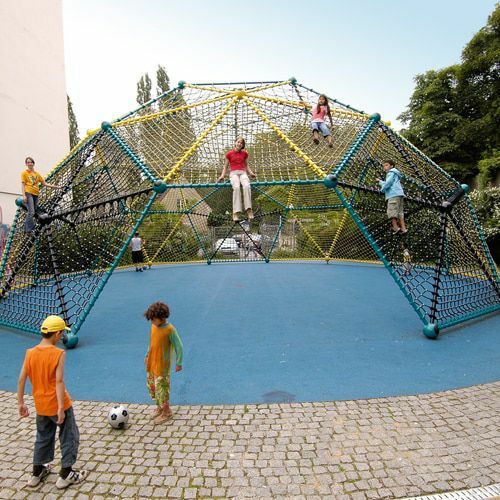 There is a safety net integrated at a height of 4 meters.